Sometimes it is enough to simply get outside and away from the trappings of civilization, to take a walk in the woods. But at other times you may want to enhance that walk with a little something extra, something that turns an everyday hike into a quest. Whether it’s seeking out a natural feature like a waterfall or discovering a bit of history like the resort ruins of Echo Mountain, Hike-LosAngeles.com has collected some of the best of those unique hikes offering a little something extra to go along with the solitude of nature. 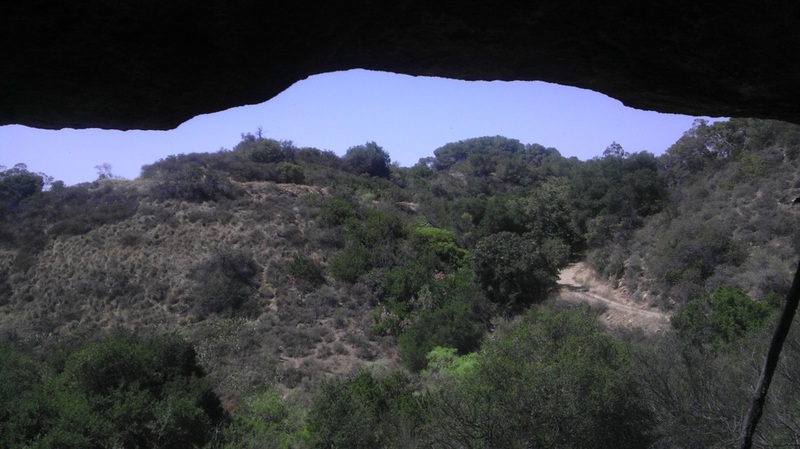 View from inside Royce's Canyon Cave in Griffith Park.